We are a family owned and run commercial & domestic pest and rodent control service with over 16 years of experience. Offering prompt and reliable pest eradication services to Heyfield, Sale, Maffra, Latrobe Valley and surrounding areas. Peter and Sue McManus, with help from their son Adam, are Gippsland locals who have been running their small business from Heyfield for over 16 years servicing schools, vegetable farms, government contracts as well as general residential & corporate clients. They run a modern professional business with best practice and modern ecological considerations in a traditional and friendly ‘smile and a handshake’ style. Gippsland Pest and Weed control offer a competitive service to Gippsland. As a community minded business, they offer discounts for Pensioners. Gippsland Pest & Weed Control is authorised under Environmental Health Regulation and Compliance. The Department of Health and Human Services of the State Government of Victoria is committed to achieving the best health and well-being for all Victorians and the Chief Health Officer and Health Protection Branch, authorises Gippsland Pest & Weed Control under Environmental Health Regulation and Compliance. Gippsland Pest and Weed Control are fully qualified technicians and are authorised for Pesticides (excluding fumigants) formulated for the control of arthropods, rodents, birds and fungi, which are used to control pests (other than pest animals). Quite a part from the fact that it is the simply the ethical way to do our kind of work, we also have a legislative responsibility and duty of care to use pesticides safely to reduce the risk to the public, animals and the environment from the harmful effects of pesticides. 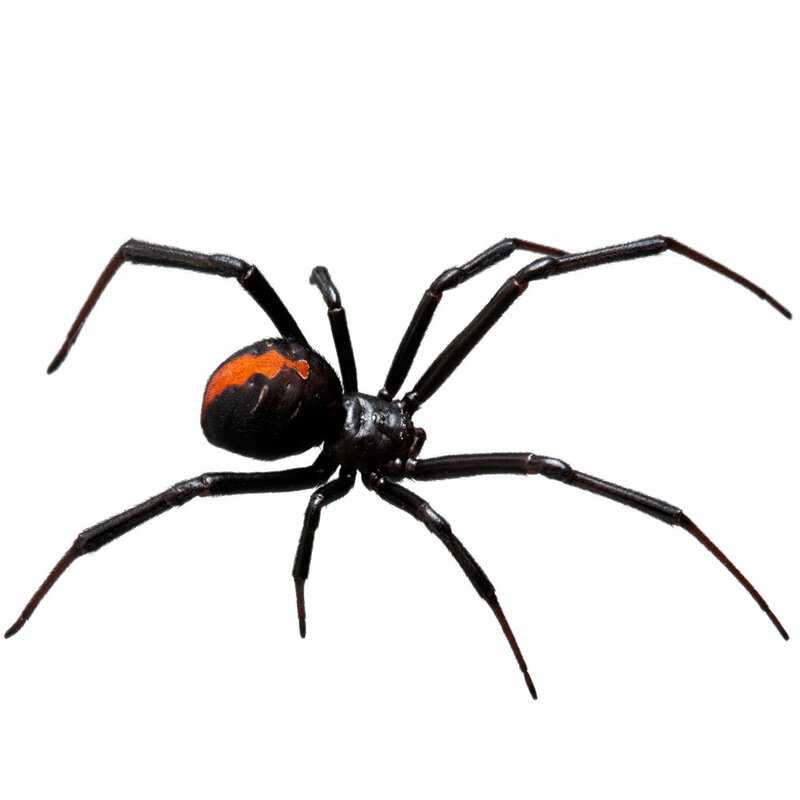 We carefully minimise the impact of pest control on you and maximise the impact of the pests. After all, you don’t want the solution to be worse than the problem! In the case of a rogue bee hive, we know how precious bees are to our agricultural industries and we aim to relocate the hive using no chemicals at all. There are more than 350 species of termites in Australia, and few are considered pests. Only approximately 20 species cause damage to buildings. In Victoria, there are 5 species that cause damage to buildings and wooden structures. Termites are often wrongly called ‘white ants.’ This term should not be used because termites are neither white nor ants. We can he help you decide about your new home or office building with a pre-purchase termite inspection and written report. Whether it’s a new house build or protection of your existing assets our professional inspection and written report will give you peace of mind. We are the best to get rid of that pest! We have experience in all areas including industrial and commercial premises, government contracts, existing buildings and new homes. From wasps to bees to spiders, rats and mice, from to cockroaches to termites – if you've got a pest control problem in Gippsland we will solve it for you. We are skilled at identifying your specific rodent infestation from very small signs. We use lockable bait stations on the interior of a house, as well as in the roof cavity and sub-floor area, this is a safety measure to ensure your pets or kids don’t get access to the baits. The safe bait stations can be used in sheds, garages, schools, office buildings and service stations and retail shops. If you spot a wasp’s nest in your garden or attached to the wall do not touch or approach the nest call us immediately on 0419 890 078. Wasps will swarm, so if one stings you, there’s a high possibility the rest of the wasp’s nest will too. Be mindful of your pets! … keep them away from the nest as wasps will attack them too! Remember, they can sting you multiple times so treat them with respect and caution until we arrive. We know how important bees are to our environment, so killing them is a last resort. Our environmentally friendly pest control means we don’t even use chemicals if we can help it, we use cunning. To eradicate a bee hive from around your house or shed we aim to safely capture the queen bee to relocate her (and her hive) a safe distance away from you. We don’t harm the queen or the hives in our professional pest management process. We work with you on a site inspection to fully understand the extent of your spider problem. The way to manage spiders inside and outside is with a spray chemical. Before we spray we make sure you, your family and your pets are safe and way from the area for 3 hours. Remember to remove items like pet bowls, bedding, toys, clothes on the line, etc. before we spray. Once the spray dries it is again safe to return. It is commonly known that ants are not the easiest pest to eradicate due to the remote places that they can nest. Ants can nest in walls, under concrete pavers or in your roof space. For the interior of a house, we deploy an effective baiting system. Fleas like to live and breed in dry, dusty environments, like sub-floor areas, gardens and carpet. Interestingly, fleas can’t see you you! They are attracted to movement and vibrations and flea eggs can stay dormant for up to 5 years. We will tackle your flea infestation with a spray chemical, if it’s interior, we use a light mist that will not affect your carpet. Usually, the issue is resolved within 24 hours but sometimes, depending on how bad the infestation is, we may need to return a week later for a second spraying. Along with ants, these are a difficult problem to tackle as they live in walls and under floors in hard to reach places. In Australia, the German cockroach is the one who likes to come inside and eat our crumbs, crawl over the goodies in our pantry and climb through our microwaves, fridges and ovens for warmth and moisture so it can breed..
Like ants, we use a special cockroach baiting system that is safe for your family and pets. These little blood suckers breed in dog water bowls, bird baths and ponds and boom around spring and summer. To tackle these annoying night raiders, we use a chemical spray. We create a barrier with the spray on shrubs, around the house, over the lawn and everywhere they might land. They breed anywhere there’s still water! To prevent them returning keep an eye on any spots around your home that will catch and hold water. Thousands of dollars of damage has been done to building from this critter. We deploy the Camilleri Injection Piping System around concrete slabs and we use Termicide frisbies on the penetration points. We specialise in termite barriers for houses on stumps and can retro fit an old house or help you correctly protect your new build. Are you about to buy a house? We offer pre-purchase termite inspections and a written report for peace of mind before you buy. We are committed to ongoing research in our industry, for example the BASF Chemical Company’s announcement of major additions to their TERMIDOR® label, means it is now registered for use through the Camilleri Underslab System. 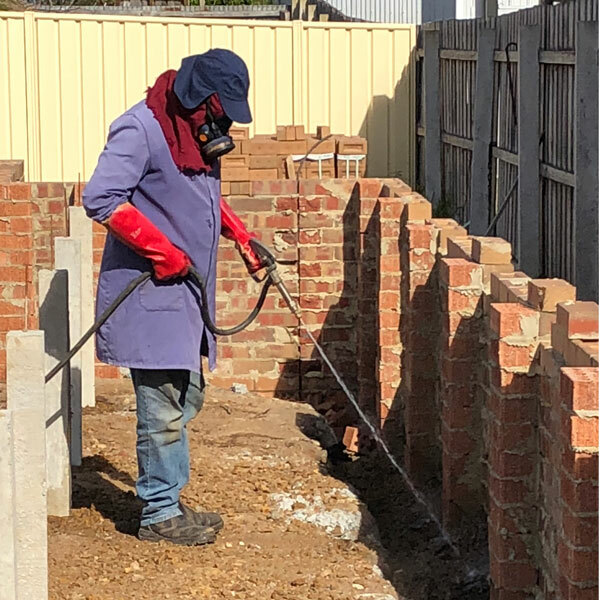 Gippsland Pest & Weed Control roll out endorsed best practice and only use chemicals that are endorsed under Pest control legislation and licensing in our pest mitigation and control work. You can trust us and rely on our service. Gippsland Pest & Weed Control own a Termatrac T3i. 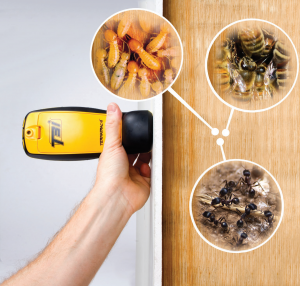 The Termatrac company is Australian owned and operated and has a patented Termite Detection Radar System, advance dual mode moisture sensors and Infrared Thermometer with a Laser Guide that is sold in over 55 countries around the world. This award winning and highly specialised device detects movement activity through materials such as brick, wood stucco, concrete blocks, ceramics tiles, marble, terracotta tiles, mica, plastic veneer, vinyl and many other common building materials. Our device pinpoints where infestation is present and reduces your cost on whole-treatment by allowing us to switch to localised treatment methods that save us time and save you money. More importantly, we can PROVE that infestation is active or inactive post-treatment and we can carrying out additional tests in a matter of minutes without knocking, breaking and drilling using the non-invasive sensor. The device’s reporting system allows us to generate reliable data from the onsite inspections and valid and reliable reporting for off-site analysis. I have utilized the services of Gippsland Pest & Weed Control annually for some 10 years. Peter and Sue ensure satisfaction / excellent results / I have referred several clients. Based in Heyfield, the Gippsland Pest & Weed Control Team service most locations in Gippsland. Use the form below to contact us about your pest control needs or call us.